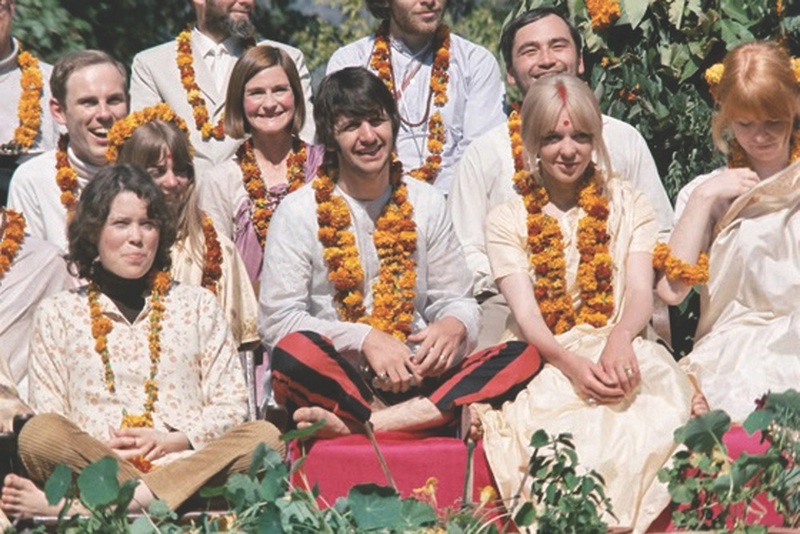 Written by John Lennon, “Dear Prudence” was one of many songs to be released on the 1968 album The Beatles, commonly known as “The White Album.” During a retreat in Rishikesh, India, the Beatles, among famous musicians, artists, and actors such as Mia Farrow, Donovan, and Beach Boy Mike Love, studied philosophy and yogic meditation under the Maharishi Mahesh Yogi. 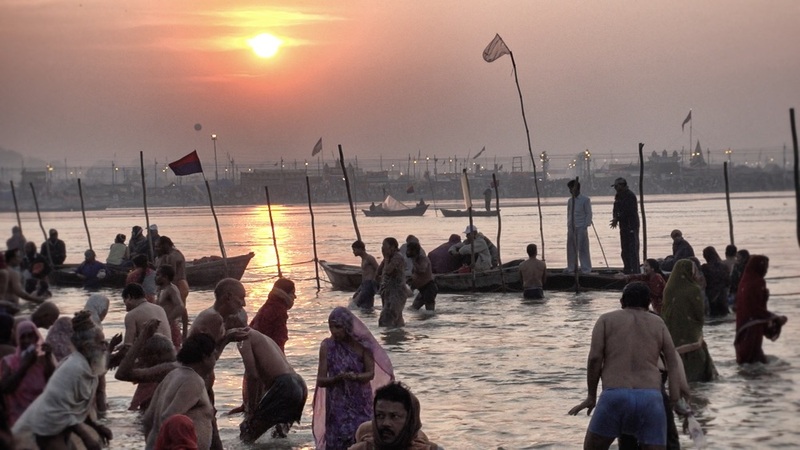 Albert and Prudence Bruns bathe in the sacred Ganges River during the 2013 Kumbh Mela. Nearly fifty years later, Prudence Farrow Bruns has been a film producer, a college professor, a writer and scholar, and a world traveler. But her true passion comes to fruition in being a certified teacher of Transcendental Meditation (TM). Her PhD in Sanskrit from the University of California, Berkeley makes her one of just a few thousand people worldwide who can interpret the original Vedic texts from which the Hindus learned spiritual enlightenment. Prudence has been teaching TM and the yoga lifestyle in Northwest Florida since 1970 finished writing a memoir this year. She also recently founded the Dear Prudence Foundation, a scholarship program dedicated to helping those who would like to learn TM but cannot afford classes. The foundation’s sister website, Dear Prudence Yoga Living, will also become a central hub where people can learn about the yoga lifestyle. Prudence hopes this website will be online in Fall 2013. The overall mission of the Dear Prudence Foundation and Dear Prudence Yoga Living is to “create Heaven on Earth” by bringing the yoga lifestyle to the mainstream and showing the vast array of benefits it can have for the average person. 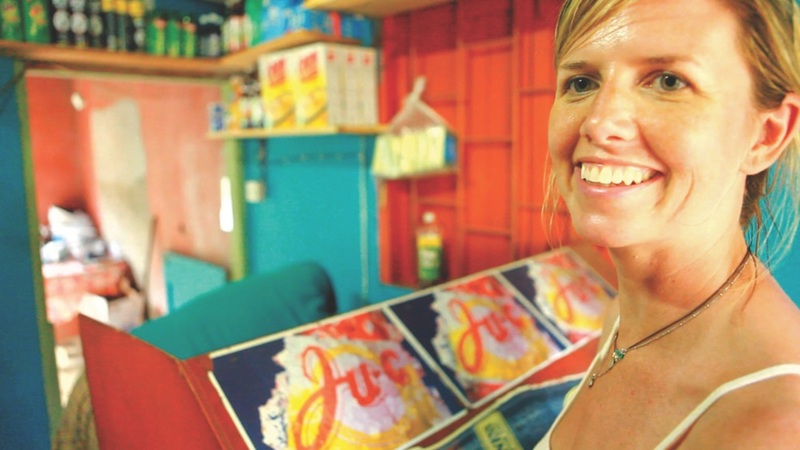 Spearheading the foundation’s mission with Prudence is filmmaker Shannon McCoy Cohn, who has worked on documentaries such as Being in the World and 2012: Time for Change, as well as the Discovery Channel International and National Geographic travel documentary series Sea Nation. 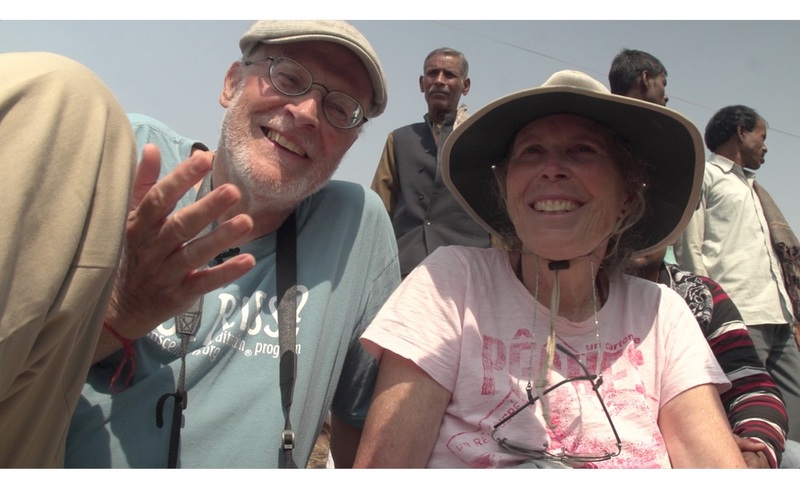 Shannon’s first big project with the Dear Prudence Foundation is producing a documentary about the Kumbh Mela, a tradition that is known as the largest pilgrimage in the world. “I always wanted to go,” Prudence says. 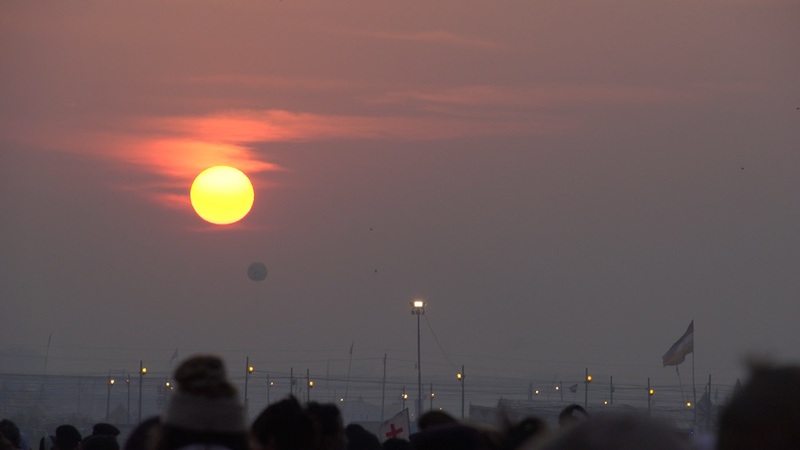 “There were expected to be over a hundred million people there this year. 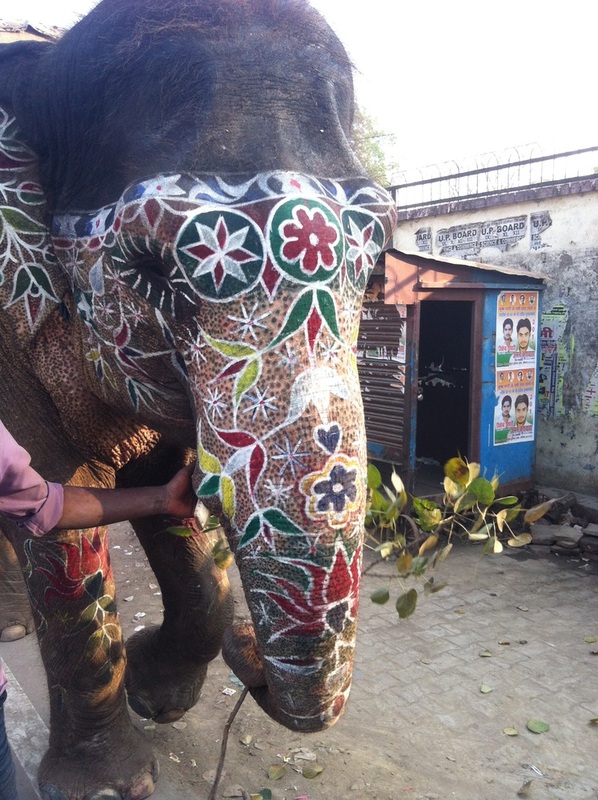 Last fall, after returning from Varanasi, I asked Shannon if she would be interested in filming the event and she said, ‘Yes. Let’s make a movie!’ Can you imagine a hundred million people coming together for good?” People came from all over India, and the world, from diverse backgrounds, including Hindus, Buddhists, Jains, Christians, Sadhus, and Yogis. Over two and a half million people came from the West alone. Prudence, her husband, Albert, and a production crew set out to capture the massive event in January 2013. 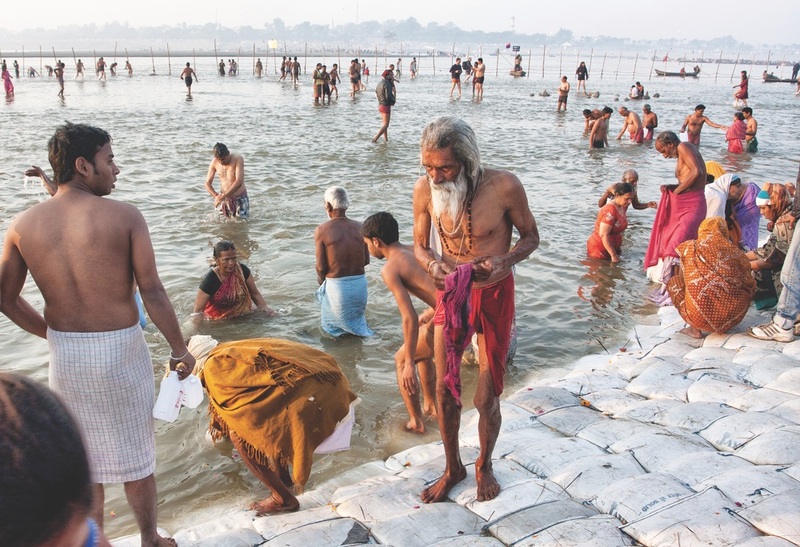 They flew to India and then traveled, squeezed into trucks and rickshaws, to the site of the Mela at Allahabad, or Prayag, where the Ganges (Ganga) River meets the Yamuna and the Sarasvati. 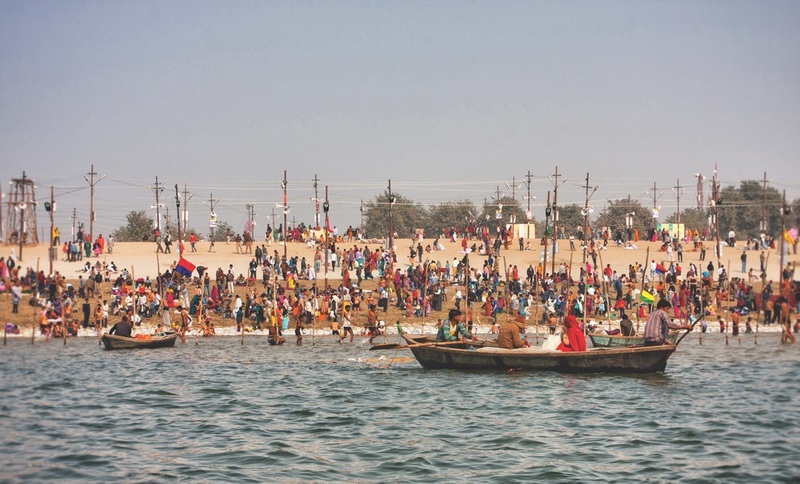 During the Mela, it is said that the planets are aligned so that the river is blessed, and those who bathe in the Ganges during that time will be cleansed of their past hardships and blessed for the future. Of course, when that many people are together in one place, even for a good cause, there are always going to be unfortunate mishaps. People get lost and are never found, crowds press in so tightly that it becomes hard to breathe, and sickness from exposure and exhaustion can spread quickly. 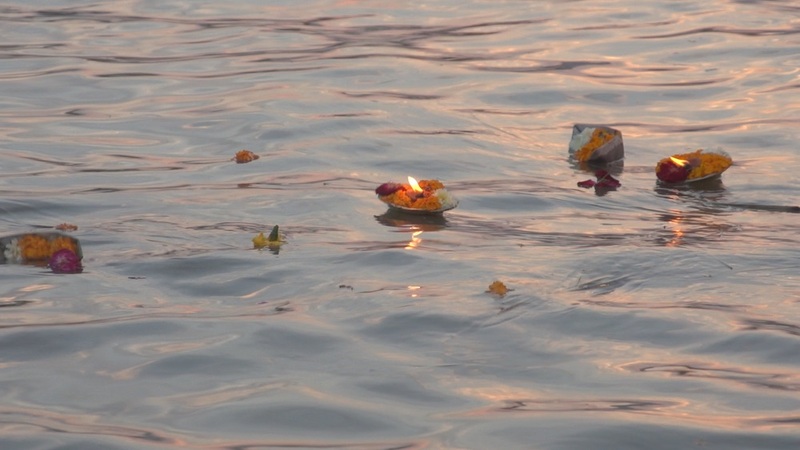 That doesn’t stop people from coming, or from bringing their children and elderly to be blessed by Mother Ganga. Luckily, the whole team made it back safely—and with many stories of adventures (and misadventures) from the voyage. 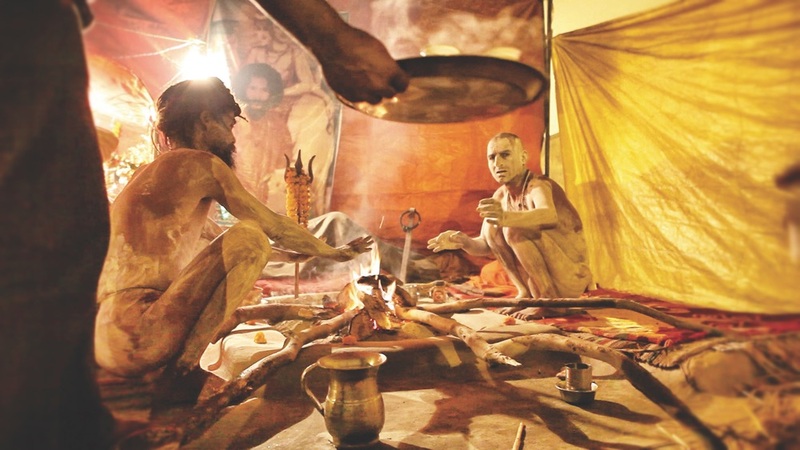 The twenty-square-mile Kumbh Mela site, a part of the riverbed that is submerged most of the year, was covered in a sea of bodies and tents, with people from around the world performing religious traditions, cooking, singing, and doing just about everything else imaginable. The team from the Dear Prudence Foundation consisted of Prudence and Albert; Shannon’s husband, director and cameraman Pato Cohn; production manager Jenifer Kuntz, who is also the owner of Raw & Juicy, an organic juice bar in Seaside, Florida; cameraman and Northwest Florida artist Arix Zalace; cameraperson Erin Smith; and sound technician Manish Pingle. Shannon was unable to go due to last-minute complications. They all agree that attending such a monumental event was an unforgettable spiritual experience. 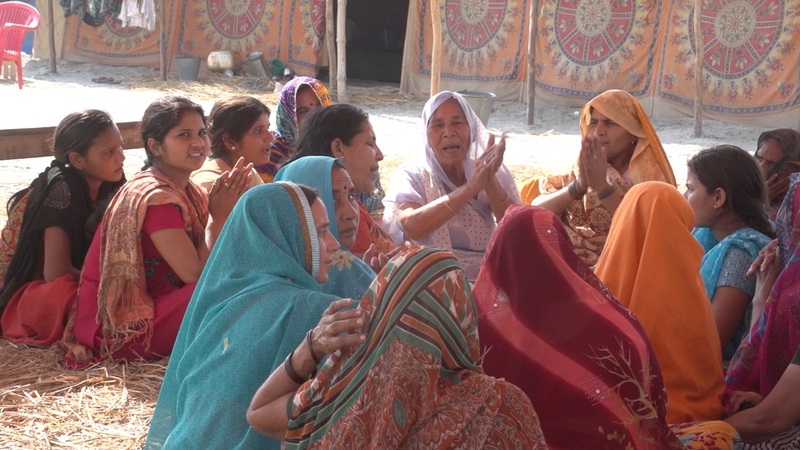 “The Indian people are wonderful, and they will jump right into your business and try to help you right away,” Jenifer says, laughing as she recounts a tale of some Indian “helpers” trying to guide her and Arix through a sea of people crossing a bridge to get to the main site of the Mela. 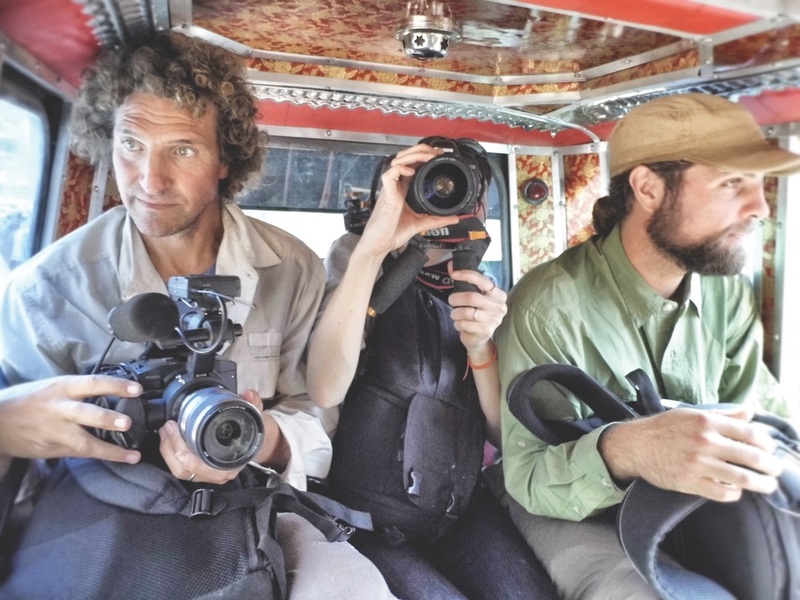 Pato Cohn, Erin Smith, and Arix Zalace share close quarters in a truck on the way to the Mela site. 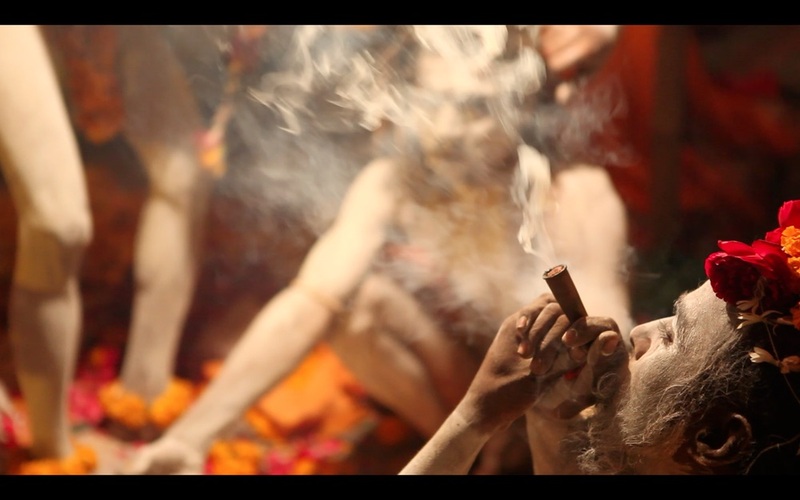 Prudence is blessed by a sadhu, a nomadic monk dedicated to achieving spiritual liberation through meditation. 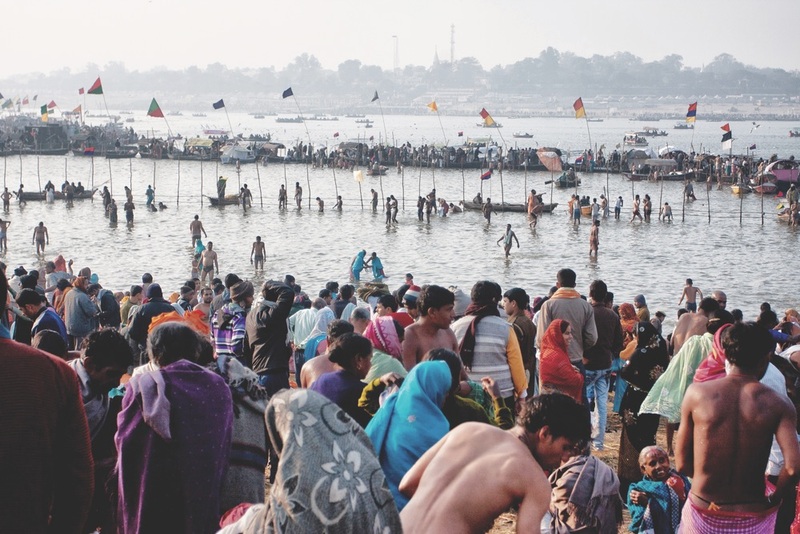 The Kimbh Mela is the world's largest gathering, taking place at the intersection of the Ganges, Yamuna, and Sarasvati Rivers when the planets are aligned. 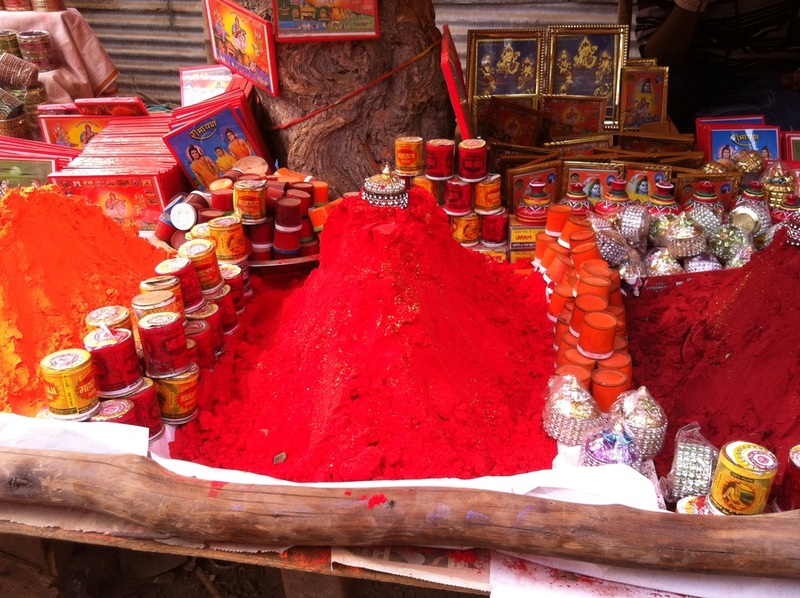 Those who bathe during the Mela will be cleansed and blessed for the future. Shannon Cohn and Megan McCormick set sail on an adventure with their families. The wind is low, the birds will sing that you are part of everything. 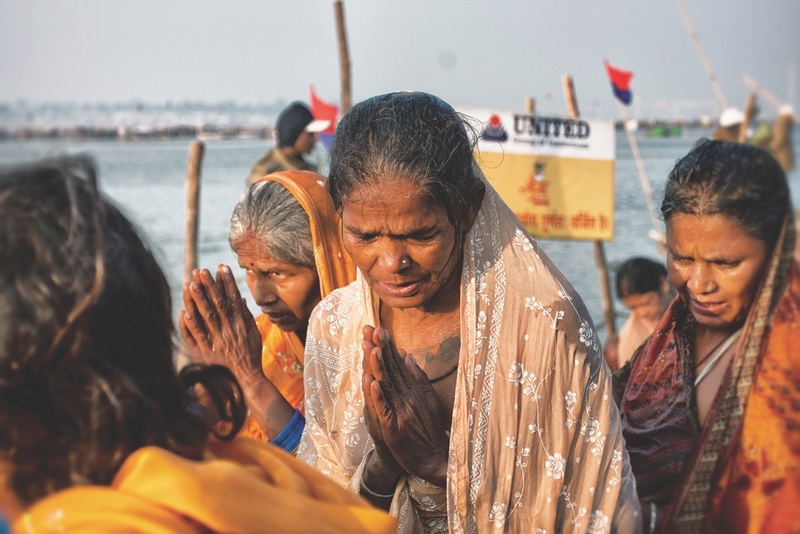 Production of the Kumbh Mela documentary will continue throughout the year and will include a large fund-raiser in New York City this fall. Prudence and Shannon are excited to see what comes of it. Joining the production crew are film editor Toby Shimin of the popular feature documentary BUCK, which was short-listed for the 2012 Academy Awards, and music producer J. Ralph, whose song, “Before My Time,” performed by Scarlett Johanssen in the film Chasing Ice, was nominated for an Academy Award this year. “We hope it turns out to be a film that unites people, helps them think more deeply, and teaches them to question things,” Shannon says. The film and the foundation are about helping people get past the “disillusionment of today’s society” caused by the mass consumerism of the past several decades. To learn more about the Dear Prudence Foundation and the benefits of yoga and Transcendental Meditation, visit www.dearprudencefoundation.org and www.dearprudenceyogaliving.com, which is coming online in Fall 2013.